As October gracefully makes its final bow, it's a bittersweet time, because fall is finally giving way to winter. While I absolutely love both seasons, I will miss the golden afternoons and extra hours of daylight that signify autumn in Maryland. This month, the four products that caught my eye definitely have a lot of variety, coming from brands both familiar and new to me. What all these products have in common, however, is that they not only taste good, but are good for you. Boosting health conscious attributes such as allergen-friendliness, non-GMO status, or a focus on real ingredients, each proves that eating well does not have to be a compromise. Over the past month or so, komboucha quickly has become the secret to keeping my stomach happy. Last month, I showcased GT's gingerade enlightened komboucha as my first foray into the drink. Although I rarely do a back-to-back mentions, GT's enlightened synergy trilogy brew was so good I couldn't leave it off this month's list. Made with tart raspberries, lemon, and ginger, this komboucha maximizes the natural health-boosting benefits and provides a fruity flavor. Learn more about GT's komboucha over on their website. 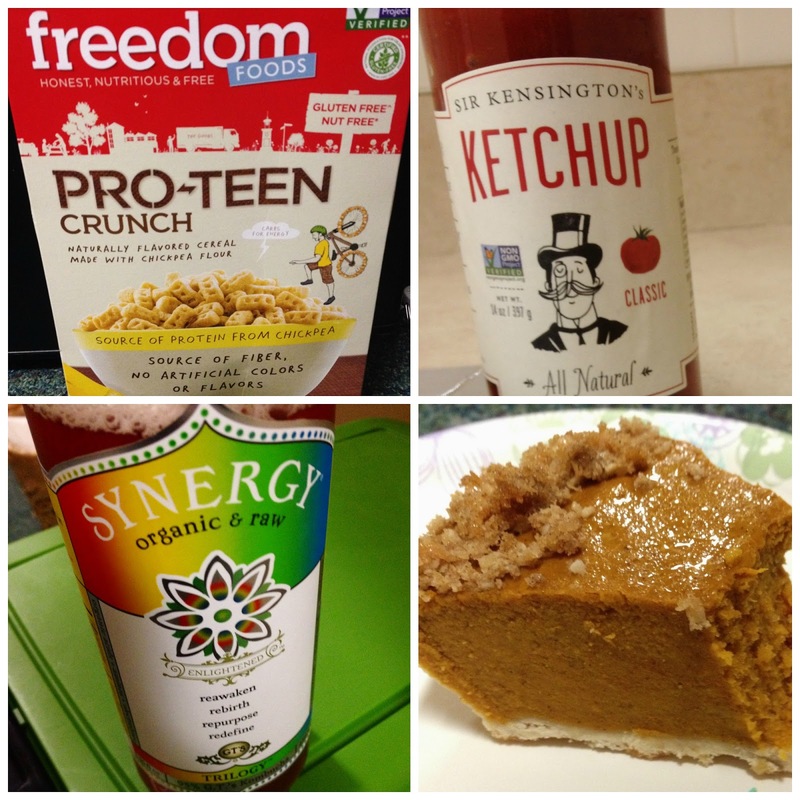 Those who have followed my blog for awhile or have tuned in to my Natural Products Expo East coverage should know that I am a huge Freedom Foods fan. This Australian company does the seemingly impossible task of making delicious, kid-friendly cereals that are free from top allergens and made with real ingredients. I've tasted and tried several of their offerings, but the pro-teen crunch was new to me this month. 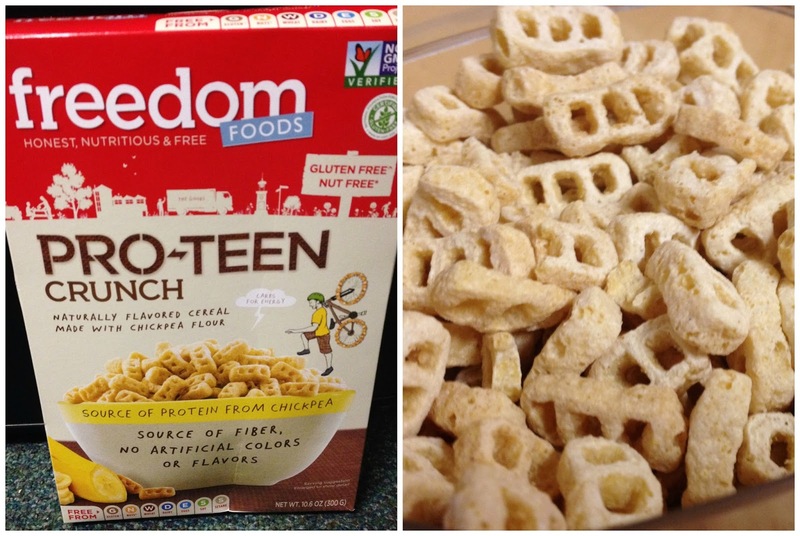 Made with chickpea flour, this cereal has protein and fiber to boost your breakfast. Slightly sweet with nice crunch, the cereal is perfect for eating with milk, or for creating trail mix with added nuts, dried cranberries, or other add-ins. Visit Freedom Foods website. I know what you're probably thinking: "What makes this ketchup so special? After all, it's just ketchup!" But there you'd be wrong in thinking that Sir Kensington's is ordinary ketchup. Made with less sugar and salt than its competitors, Sir Kensington's focuses on keeping it's ingredients list short, GMO-free, and fine tuned to create the best ketchup out there. I love it's wonderful thick texture and robust tomato flavoring with a hint of spice, and love making up excuses to pair it with fries, veggie burgers, and homemade falafel. Click here to learn more about this distinctively delectable sauce. I reviewed Sweet 27's bakery and restaurant last year as a new Baltimore resident. With the season of all things pumpkin in full swing, I decided to give their pumpkin pie a try. Made without gluten, dairy, soy, and egg, this pie is certainly versatile enough to please many dietary restricted diners. I liked the pumpkin filling with it's sweet sprinkle of sugar around the edge. The crust was crisp, if a bit crumbly, but the whole package was one sweet deal for $18. 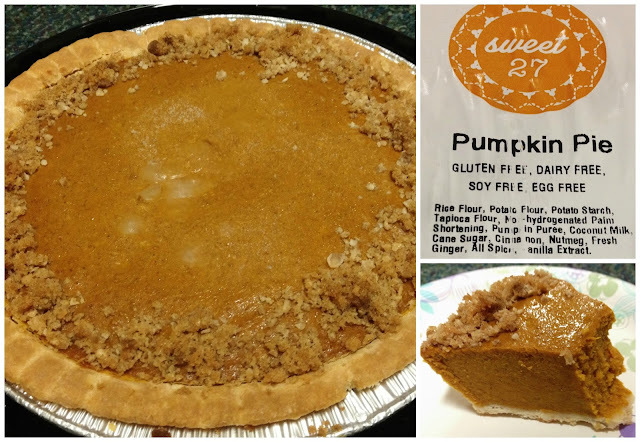 Call ahead to Sweet 27 to order your pie and visit their website right here. What are your favorite product finds to date? Don't hesitate to share!